Financial inclusion is progressively gaining momentum globally, however, the gains are yet to even up. The 2017 World Bank Global Findex Database report on financial inclusion reveals that over 60 million Nigerians do not have bank accounts. The report ‘The Global Findex Database 2017: Measuring Financial Inclusion and the Fintech Revolution’ employed data from a survey conducted in 144 countries, in collaboration with the Bill and Melinda Gates Foundation and Gallup Inc.
Financial inclusion is critical to the implementation of some UN’s Sustainable Development Goals, especially improving gender equality because increased access to financial services for women leads to an amplified contribution to nation-building and boosts the economic growth of any country. Women gain decision-making power in their homes, and with more financial tools at their disposal, they invest in their families’ prosperity and help drive broad economic growth,” said Melinda Gates, Co-Chair of the Bill & Melinda Gates Foundation. 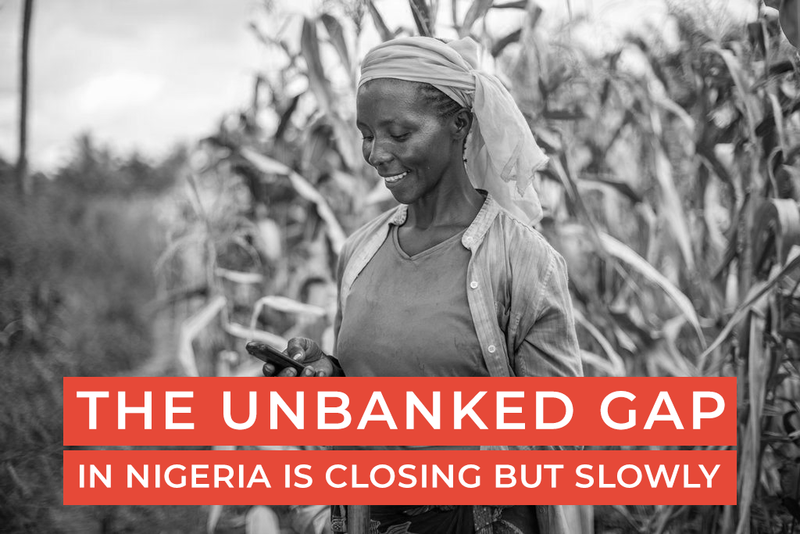 In Nigeria, similar to other developing African countries, physical proximity to a branch is the most significant barrier to accessing basic financial services. Cash is still the main mode of payment and a large percentage of the people are unbanked. Part of the rudiments for building a viable economy is to encourage a payment system that is secure, affordable and accessible. Gender inequality and its impact on female financial inclusion is not a trivial issue. It constitutes a major burden plaguing the nation because it limits women’s productivity and economic contributions, decreasing their chances of achieving their potential, all of which have significant socio-economic consequences. “Women have to deal with the added layer of living in a patriarchal society which is generally a cause of their limited access to economic opportunity,” said Modupe Odele, Investment and Finance Attorney and Cuartor of Scale My Hustle. The EFiNA survey of 2016 shares some insights on the factors responsible for the high level of financial exclusion in Nigeria. 56.1% of the survey respondents attributed their exclusion to lopsided income and unemployment, other factors include illiteracy, and the rigour of documentation. A study by the Lagos Business School (LBS) also identified underemployment and unemployment as part of the factors of financial exclusion. The report revealed that without access to steady income, the vulnerability to financial jolts rises for the unbanked. Nigeria launched its own National Financial Inclusion Strategy (NFIS) in October 2012. The main objective of the strategy is to reduce the number of Nigerian adults without access to formal financial services to 20 percent by 2020 from the baseline figure of 46.3 percent in 2010. To achieve this aim, the Shared Agent Network Expansion Facility (SANEF) project was created and it is powered by CBN, NIBSS, banks, licensed money operators, and shared agents with the primary objective of accelerating financial inclusion in Nigeria. According to SANEF’s finding, the North-East and South-East have the least access to banks. While the North-East and South-East have 5 and 7 percent financial access respectively, the South-West leads with 54 percent. However, the nation experienced a decline in financial inclusion from the last Findex report in 2017. Also the Central Bank of Nigeria (CBN) released the “Exposure Draft of the National Financial Inclusion Strategy Refresh,” providing some insight into this unsatisfactory performance and affirming that the country was not on track for the 80 percent financial inclusion target. Many women tend to experience disruptions in their earning patterns due to childbearing, motherhood, caring for the family amongst several others. Therefore, loan and credit services that cushion these disruptions by offering shorter tenures can be created for this demography. More partnerships between financial service providers and women-focused development projects are required to decrease the exclusion of women by creating gender specific products. Originally published at guardian.ng on January 28, 2019.